Whenever you're stock in the middle of the road because of engine malfunction or your tires got flat or you ran out of gas without any warning Louisville Towing is here to provide you quick emergency towing services whenever and wherever you are in Louisville, KY or any surrounding area. We are well known leading towing company in town expert in dealing emergency road assistance cases by providing quick and efficient emergency services absolutely very affordable price. With our professional services, highly skilled towing staff, quick response period at the most affordable prices that is why Louisville Towing became the leading choice of the people in Louisville, KY when it comes to emergency road problems! We are here for you 24 hours a day 7 days a week. 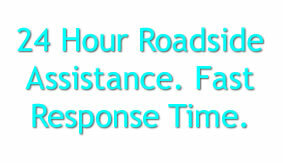 Just give us a call from anywhere in metro Louisville, KY area and we will be at your location in a matter of just a few minutes with our quick 35 minute response time. Our state of the art equipment will get you on your way quickly. Because we have the latest towing equipment we are able to serve you quickly and get you on your way! Whatever you’re emergency towing service needs give us a call at (502)643-7436 and we will on your location in 35 minutes or less. Copyright © 1969, Louisville Towing & Recovery. All Rights Reserved.